2012 in review — Thank You ! To all of my readers! I don’t normally post this kind of information. I view this site as a Sunday morning conversation between us, and stats cannot possibly tell THAT story. So if you feel the same, don’t bother with this, but if you are curious WordPress did a really good job with this report. I want to take this opportunity to say Thank You to ALL of you. I hope in 2013 you follow your dreams and have a GREAT year. Authors of re-blogged articles are not eligible for the re-blogged articles (but are for any guest articles they wrote for us). Every author with one guest article for us is automatically nominated for that article. If an author has two or more guest articles with us, then Joe picks one article for the nomination. 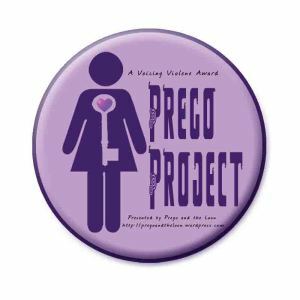 This is an annual award given to one and only one author. There is no other way to be nominated or to win. The winner is chosen by a vote of our readers. 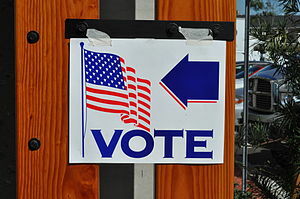 Everyone can vote. The winner, as chosen by our readers, will be announced the first Sunday following the end of voting. Readers will be able to vote for one week (midnight friday to midnight friday New York time) and will only be able to vote once. If you would like to be eligible for next year’s “Reader’s Choice Best Guest Author” award, contact us with your idea for an article that helps, inspires, encourages, or a new or unique look at something historical. Every week my Sunday article is posted at midnight Saturday night New York time. This week’s article will be one day earlier, but when you read it you will see why. “George Burns always used to say that one of life’s greatest injustices is, you can’t pick your family. I say bolderdash, my best family members are the people I chose as family (right Sis). A Visit From Saint Nicholas, was first published in 1823 anonymously. It is in this poem that we have for the first time: stockings hung by the chimney, eight reindeer (named), reindeer and sleigh landing on the roof, a pack full of toys on his back, white beard, a short pipe, and Santa as a “fat elf”. The chimney and stockings originally, as I said last week, started with the original Saint Nicholas, but in this poem we have the stockings filled with toys as part of Santa’s job (instead the only job). With the older Christian mythology of Bishop Nicholas, all the gifts are left in the stockings hung by the chimney. Some today some state that the stockings tradition comes from Scandinavia and the older pagan ritual of leaving out shoes for the god Odin. To be sure the origin in Scandinavia, but not for the western Christian ritual. Today if someone comes up with some new electronic gadget the whole world knows about it. The world was a different place more than 1,000 years ago traditions were often similar, but from different origins in different parts of the world. In Scandinavia the shoes (or stockings) were left outside the door (instead of by the chimney) with hay and carrots in them for Odin’s horses and he replaced them with candy. In Turkey, Christians were unaware of the pagan traditions in Scandinavia. In Christian tradition, the stockings were left empty by the chimney, and filled with gifts (such as St. Nicholas’ gift of a dowry) by Saint Nicholas. Why though was Santa Claus fat, and why did he smoke? Ah yes. Not very politically correct, well not for the 21st century, though very politically correct over 100 years ago. When tobacco was first discovered and brought back to Europe, it was very expensive and smoked only in pipes. Smoking became a status symbol, a sign of wealth and became wide spread. More than just smoking a pipe, the length of the pipe was also indicated a person’s social status in life. 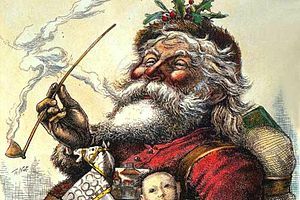 If you were rich, you had your own pipe, a long stemmed pipe (I have one for my Santa collection). The common man did not own his own pipe. The common man would smoke at a tavern or inn (a bar). The innkeeper left pipes on the bar. A customer would pick up one of these pipes, break off the tip, and put his tobacco in the bowl to smoke. When the customer was done, he would lay the pipe on the bar and the next customer would pick it up and break the tip off, following the same steps of the previous customer. 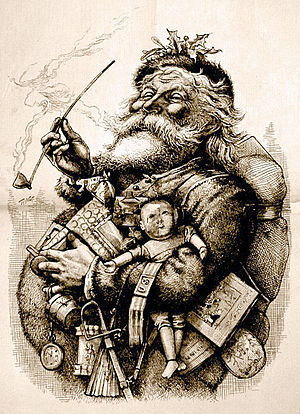 So, when Clement Clarke Moore had Santa with a “stump of a pipe” he was identifying Santa with the working class (a very political statement). 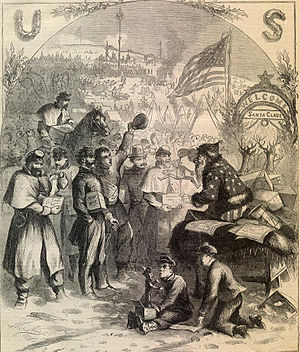 Thomas Nast was the first illustrator to give us visual images of Santa Claus, 100’s of images. Nast used a long stem pipe in his images, which made sense for Nast. Nast created an entire factory for Santa to make toys for all the children of the world (which he identified as being at the North Pole). A man who could afford all of this, including all the workers, and could give away the toys free was obviously wealthy. So, Nast used the long pipe to identify Santa as wealthy. Santa was over weight for the same reason, only wealthy people could afford enough food to be overweight. Another controversy is over Santa’s red and white clothes. On Wikipedia it correctly states that many companies before Coca Cola used their company colors for Santa’s clothes in their advertising, and as such, several companies had red and white Santa’s before coke. Wikipedia goes on to say that for this reason, our red and white Santa is not because of Coca Cola. Well … yes and no. Yes there were several red and white Santa’s before coke. No, because Coca Cola IS the reason for our red and white Santa. Confused yet? It is simple. When the other companies gave us their red and white Santa, there were still other Santa’s in many colors. However, after Haddon Sundblom began doing the Coca Cola advertising paintings in the 1930’s, all the other Santa’s with other colors went out of style and Santa universally became a red and white suit only Santa. I saw an interview with Mr. Sundblom shortly before he died where he was asked why he painted Santa in red and white. Sundblom said he did that because red and white were Coca Cola’s company colors, the advertising firm did not tell him what colors to use and neither did Coca Cola, Sundblom said he chose them himself (Wikipedia got that one wrong too). My favorite time of the year and my favorite holiday figure, I have researched Santa and Christmas for decades and I never tire of learning new things about the two. I enjoy giving talks about Santa and Christmas more than any other topic I give talks about. Next year, I will pick up where we have left off. For now, I wish that you and the people you share your life with will have a memorable and happy Christmas, filled with good cheer and love. I believe, and not just because I have a 7-year-old daughter. I have always believed, even when I was a 40-year-old man who thought I would never have children I believed. Why do I believe? To explain, I need to tell a brief history of Santa Claus, and of course, any history of Santa Claus begins with a brief history of St. Nicholas. My rule on my website is no politics or religion. However, as Saint Nicholas was a Christian Bishop it is part of who he was, and as such, it is part of his story. This article is a brief history of Saint Nicholas / Santa Claus and makes no judgments for or against Christianity in keeping with my rule. Nicholas was born in present day Turkey to wealthy Greek parents. Orphaned while a small boy he was raised by his uncle Nicholas. Uncle Nicholas was the bishop of Patara. As he grew older, our Nicholas became a priest under his uncle’s tutelage. On his uncle’s death, Father Nicholas became Bishop Nicholas. Religious icons are almost as old as Christianity, and play a part in some of the legends of Saint Nicholas. In the early days of Christianity the majority of people could not read or write, (priests were the exception to this). Icons are religious images created according to strict rules. Each saint’s icon has specific items in the image that identify that particular saint. In the case of Saint Nicholas, he holds a book in his left hand and in his right hand, he holds three purses, or three gold coins, or three balls of gold. The book is a gospel. Saint Nicholas is considered a defender of the faith. At the Council of Nicaea, the Roman Emperor called all the leaders of Christianity together in an attempt to “standardize” the religion. There were two main groups within Christianity. The first and smaller group (called Gnostics) believed Jesus was a prophet who was then killed, executed, and buried. They also believed that the way to heaven was through a secret knowledge (Gnosticism). By learning this secret knowledge, people earned their way into heaven. They were the authors of the Gnostic gospels, often referred to as the “forbidden books of the bible”. The second group (which Nicholas was a member of) believed that Jesus was the son of God and rose from the dead, they also believed that no one could earn their way into heaven. This second group believed that people went to heaven only through the grace of God, because of the sacrifice of Jesus on the cross. By now you are asking “Ok, but what does all of this have to do with Saint Nicholas?” When the leader of the Gnostics stood before the Emperor making the case for his side at the Council of Nicaea, Bishop Nicholas calmly walked to the front of the gathering and slapped the Gnostic leader across the mouth, while he was addressing the Emperor. The other Gnostics demanded that Bishop Nicholas immediately be put to death for striking a person in the presence of the Emperor (this was a Roman law). Bishop Nicholas was well liked by all who knew him and he was generous to the poor. Also, Emperor Constantine is believed to have favored Nicholas’ side over the Gnostics. The Emperor decided that Bishop Nicholas would be stripped of all his Bishop’s attire and symbols of his rank, and placed in a cell for the night while the Emperor decided his fate. In the morning, when the guards went to get Bishop Nicholas, his cell door was opened, all of his Bishop’s vestments were returned, and he was kneeling in prayer. Nicholas’ supporters claimed that Jesus had freed him and the Virgin Mary had returned all of his vestments to him. Emperor Constantine declared that was enough for him he would not go against Jesus and Mary. He restored Nicholas as a bishop. After this, all traces of Gnosticism were removed from the accepted cannon and Gnosticism was outlawed. It is for this reason that icons of Nicholas show him with a book (a gospel) in his right hand. The three pieces of gold in his other hand are a testament to his generosity to the poor. There was a man who had three daughters, but no dowry. At this time, a woman without a dowry could not marry and would most likely become a prostitute because this would be the only way she would be able to support herself. Bishop Nicholas on hearing of this man and his three daughters provided the dowry for each of the daughters. When each daughter became of age, he secretly made his way to the house at night. He then left a bag of gold coins for the young woman’s dowry. When it was the youngest daughter’s turn, her father decided to hide and see who the anonymous benefactor was. Bishop Nicholas wanted to keep his identity secret, and so tossed the bag of coins down the chimney where they fell in a pair of stockings the daughter had hung over the fireplace to dry. A myth surrounding Saint Nicholas has him bringing three boys back to life after a butcher had killed them. This story most probably comes from illiterate people mistaking the three gold balls in his hand (in the icon) for three heads. The three gold balls have also been mistaken for three oranges. This is why in Holland it is believed that Sinterklaas comes from Spain. In the time before North America was explored, oranges were imported from Spain to Holland. Bishop Nicholas spent the rest of his life in service to the church and spent the fortune he inherited from his parents helping the poor, particularly children. During his life, children were considered of no value, and a parent or guardian could do with children as he liked (woman ranked above only children at this time). Bishop Nicholas died on 6 December 343. Traditionally a saint’s feast day is the anniversary of his/her death (the day they enter heaven). In celebration of the feast day of Saint Nicholas gifts are given to children to honor Saint Nicholas. Bishop Nicholas’ reputation as a giver of gifts is the source for our Santa Claus or Father Christmas. Father Christmas goes back more than 500 years in England, over time he merged with Saint Nicholas into the figure we know today as Santa Claus. The first use of the name Santa Claus goes back to the American colonies in 1773. Santa Claus is also mentioned in Washington Irving’s 1809 History of New York. 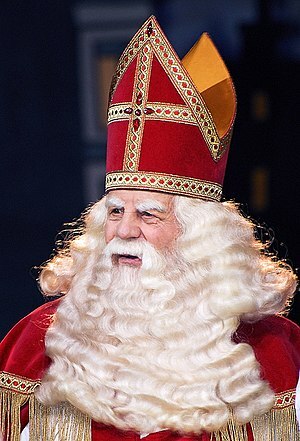 Santa Claus is an Americanization of the Dutch name for Saint Nicholas, Sinterklaas. 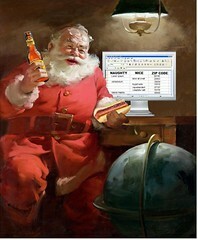 Santa Claus as we know him today has evolved over the last 200 year. In 1821, in the poem Santeclaus he was described as an old man on a reindeer sleigh. Next came the poem A Visit from Saint Nicholas (known today as Twas the Night Before Christmas or The Night Before Christmas). This poem was published anonymously on 23 December 1823. Today it is attributed to Clement Clarke Moore, though some claim it was written by Henry Livingston Jr. (books and articles have been written on which of these men actually wrote the poem). A Visit from Saint Nicholas gave us much of what we know today about Santa Claus, but that is for next week.